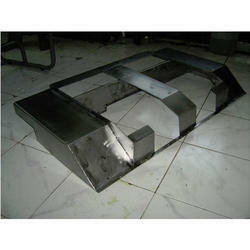 We are well versed in sheet metal Enclosure Design. We offer a complete sheet-metal fabrication solution to meet our customers’ requirements from product concept and design through prototyping and volume production. We support customers in the instrumentation, medical, consumer, computer/datacom and telecom industries. We are one of the leading names in the industry in offering a wide range of AE Enclosures to our valuable customer. Sheet metal cabinets for electronics and electrical equipment made with Mild Steel and Stainless steel as per your requirements. It is a Air Freshner cabinet Made with 3mm aluminium, Anodized in white and Pink. we make such as cabinets as per required designe. We have been able to offer a wide range of Metal Enclosures to our valuable customers. The best quality materials are used for the purpose of manufacturing the offered range. We are known for offering a highly efficient range of Sheet Metal Electronic Enclosures. Our Sheet Metal Electronic Enclosures are used with electrical equipment and are manufactured using superior grade raw material to ensure durability. Furthermore, with the help of our quality controllers, we test the entire range strictly on various parameters. 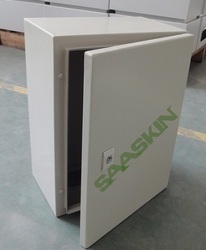 We manufacture metal enclosures for control panels with high quality galvanized sheet metal. We offer customization of range as per clients specifications.